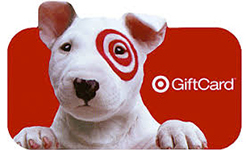 Take just one minute to complete the 2-question, annual NorthstarMLS survey, and you will be entered into a random drawing to win one of four Target gift cards: $100, $75, $50 or $25. NorthstarMLS staff and Board members read every survey comment to help plan the focus of resources for 2018. Participate in this planning effort–evaluate NorthstarMLS and help make it better–we want your opinion!